Blog / CLEAN UP YOUR ROOM!! – Files and Emails Accumulate Quickly to Bloat Servers and Email Systems. Files and Emails Accumulate Quickly to Bloat Servers and Email Systems. As a small child growing up in the Vancouver area, I can remember our 2-story house. It had a large full-size walk-out basement with 2 storage rooms. Upstairs storage rooms were also full of our family treasures. Mom ran a tight ship; there wasn’t a lot of clutter in the living areas – except in my room. Like most children, I didn’t place a lot of emphasis on cleaning and organization. Inevitably when the problem got out of hand, there would be the usual restricted activities until I cleaned up my mess. No clean room; no playing with friends in Maple Grove park. I thought it was hugely unfair, and far from stress-free. I suspect this was – and is – a common theme in most households; Moms (and Dads) enforcing the cleanliness rule with the predictable push-back from kids. Fast forward to 2018 and I’ve become a bit of a neat-freak. It’s not quite OCD, but I like to have things organized and in their place. The neatness-habit is really born out of an aging memory that doesn’t function as well as it used to, so I need some structure to keep me on track. I still have lots of unnecessary junk, but now it’s in neat piles. So, how does this relate to your IT systems? We’ve been helping a Client transition to a Cloud environment for their file storage. At the same time, they wanted to cleanup the structure, as they suspected it was cumbersome and disorganized. As it turns out, that was a huge understatement. They are an organization of about 90 people spread between multiple locations; not that large or complex. They use a combination of office-generated documents and a Cloud-based management system designed for their type of business. Does that ring a familiar bell with your organization?? We started by listing all of the server user-groups; about 60 in total. Each group had different sets of permissions; essentially the ability to read, edit, create, and delete files. Several users belonged to multiple groups; which made understanding a users’ true permissions very difficult. We then looked at the server folders where files were stored. There were 11 major categories, and each of these had several sub-folders. Each folder and sub-folder had files in them. We then correlated the users and groups with the folders and sub-folders to develop a list of who had access to what. Spread over the many thousands of files on their server, it was incomprehensible. And like most file storage systems, there were many files with layers of electronic dust on them – they hadn’t been touched in years; maybe a decade or more. The same was true for their Email system; convoluted folder structures and bloated inboxes were commonplace. However, to most users, the structure is very usable; they know where their documents are and how to share information with their colleagues. Like most of us, they only work on a handful of documents regularly; the rest is treated like a storage room in the basement. The electronic mess we create is accumulated over years of adding-in-increments to a structure that wasn’t designed to support the now-complex nature of our business workflows. Nor do we have any appreciation for how large the structure has become, until we get notified that more server space is required. Cleaning out the digital storage room is a daunting task for most organizations; it requires input from senior management to decide how to restructure, what to keep, and what to throw out. Others are required to move the files and perform the cleanup. Sometimes a new document management application is introduced. Fortunately, there are some applications that can help streamline the organizing process. Overall System Security is compromised. Inevitably, there are confidential files lurking in your server infrastructure that are miss-filed or that are open to unauthorized viewing. Likewise, there may be active user accounts for staff members that have long since left the organization. Either way, there may be a ticking time-bomb waiting to embarrass you. You don’t know what you have. With so much extraneous data clogging your system, you can’t locate – much less understand – the true value of the important information. In it’s simplest form, all of us have experienced the dilemma of deciding which is the most up-to-date copy of an important file. Time and system resources are wasted. Each day, your daily data backup is storing this unused data on your backup media. It adds to the time and space allocated for this purpose, and chews up precious Internet bandwidth if you use Cloud (offsite) backup. There is something cathartic about cleaning, organizing, and disposing of old (data) files. It adds clarity and focus to the vital work that remains. And it frees up IT resources to make your systems faster and more reliable; an important step towards stress-free IT. 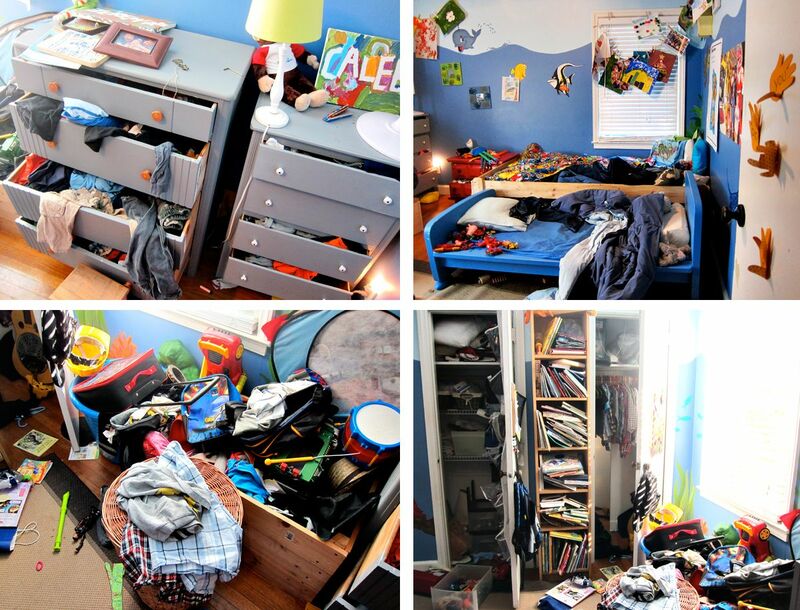 Perhaps our collective Moms had it right; perhaps it’s time to clean up our rooms. Please contact me or your Account Manager, if you would like to learn more about effective server file cleanup.